Don’t worry about breaking the terms – we keep your warranty intact. 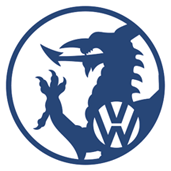 At Welsh VW Specialists, we service all vehicles from the VW group – Volkswagen, Audi, SEAT, Skoda. All the marques are serviced in accordance with manufacturers’ requirements. We always use the correct service parts (filters etc) and correct oil for the vehicle. And that means your manufacturer warranty remains valid! Approved manufacturer parts. Real, honest, friendly advice. Our technicians have years of combined experience servicing and repairing VWs. We’ll always provide you with a quote before we start work on your car or van. And, rest assured, what we quote is what we charge! Plus, we provide a 12 month guarantee on all parts and labour. We make every effort to complete the work during the day the vehicle is with us. To book your car in for a service, call us on 01446 421 954. For 25 years, Welsh VW Specialists have been the trustworthy choice for car and van services. With customers throughout South Wales – including Cardiff, Rhoose, Barry and Penarth – we’re the specialist independent garage that services VW group vehicles like a main dealership – but without the hefty price tag. I wasn’t particularly happy with the servicing I was getting from my lease hire company. Matt checked the Ts & Cs of my lease and discovered I could get my Skoda serviced with him… and that’s exactly what I did.